May 4 concert will mark Yeah Yeah Yeahs' Hollywood Bowl debut. 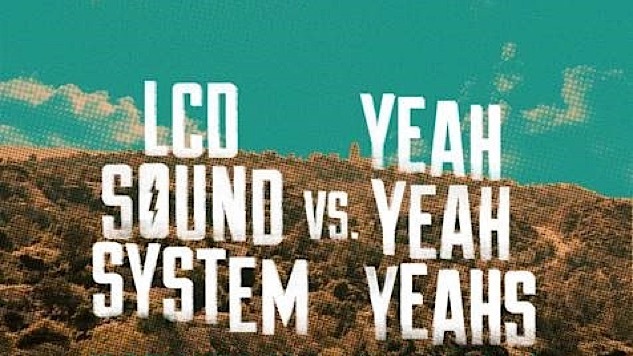 LCD Soundsystem will be joined by Yeah Yeah Yeahs for a co-headlining appearance at the Hollywood Bowl on May 4, the bands announced Tuesday. There will also be a “special guest” on the bill, to be announced at a later date. LCD Soundsystem has been on the road behind their 2017 album American Dream for months. The Hollywood Bowl show is one of three California dates announced for 2018, with the first two being April 27 at the Greek Theatre in Berkeley and May 3 at the Santa Barbara Bowl in Santa Barbara. Yeah Yeah Yeahs haven’t released an album since Mosquito in 2013, though they appear to be revving up the machine for a full 2018. In the fall, they played a few shows in California and New York to mark the reissue of their debut LP, Fever to Tell. They’re also on the bill for this summer’s Governors Ball in New York. The “LCD Soundsystem Vs. Yeah Yeah Yeahs” show will mark the latter’s debut at the historic venue. Tickets go on sale to the public on Friday 1 p.m. am EST.